We at Floyd Fence will be glad to consult and provide free estimates for any project and promise that we'll put our best foot foward with price and service that cannot be beat. You may fill out the form below or pick up the phone and call us. We have friendly customer service and we'll get a free estimate to you with just a little amount of information. We serve the Lowcountry Area including Charleston, James Island, Goose Creek, Summerville, North Charleston, Mt Pleasant, West Ashley, and surrounding areas. 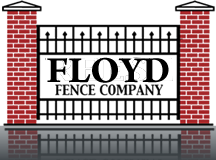 We're happy to come to your home for a free estimate in the Greater Charleston area. 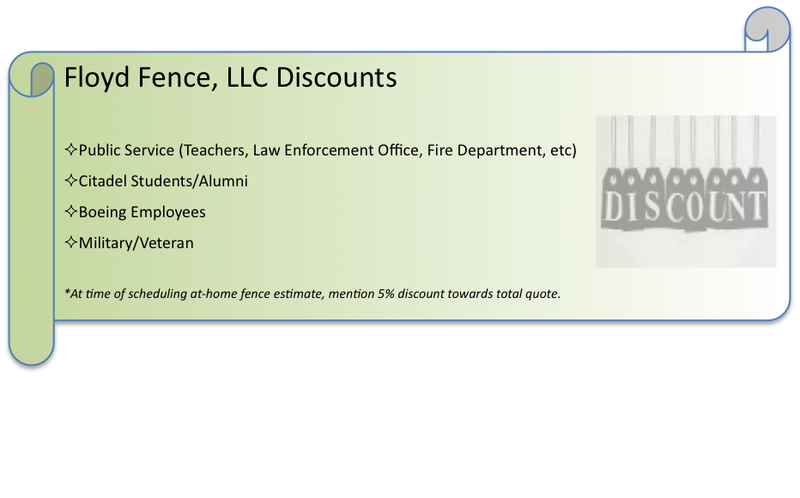 Ask us about our discounts: Boeing, Citadel, and Public Service. Give us the opportunity to beat anyone's quote!